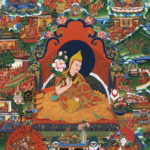 There are only 50 sets of 16 artworks of the comprehensive set of all the Tibetan Dalai Lama's. 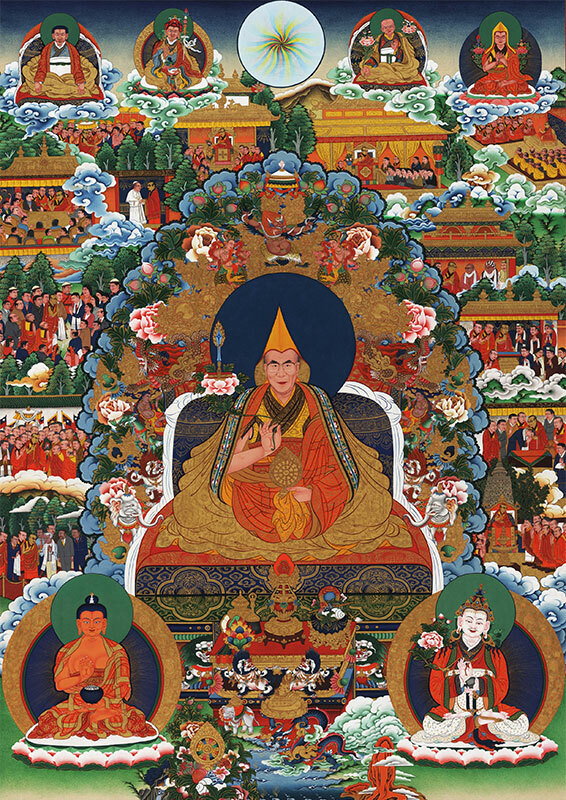 The series includes the lives of all Dalai Lama's in history from the first Dalai Lama to the current living 14th Dalai Lama. 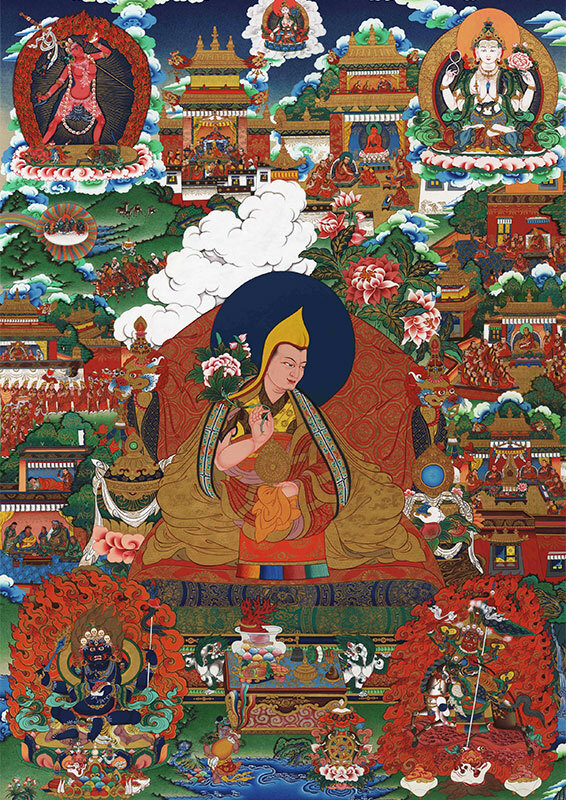 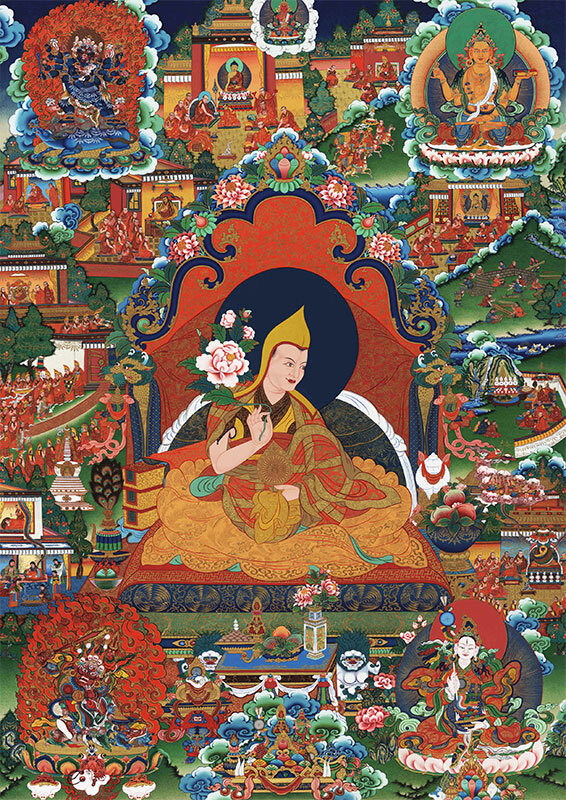 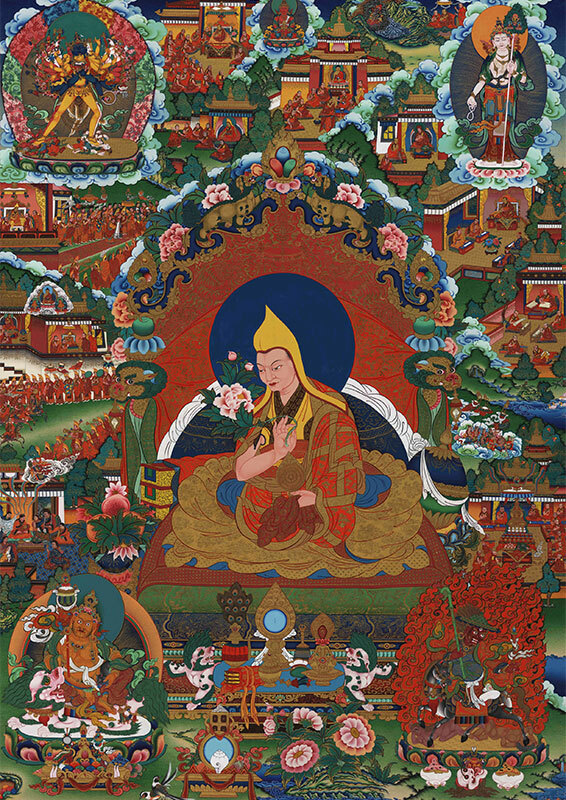 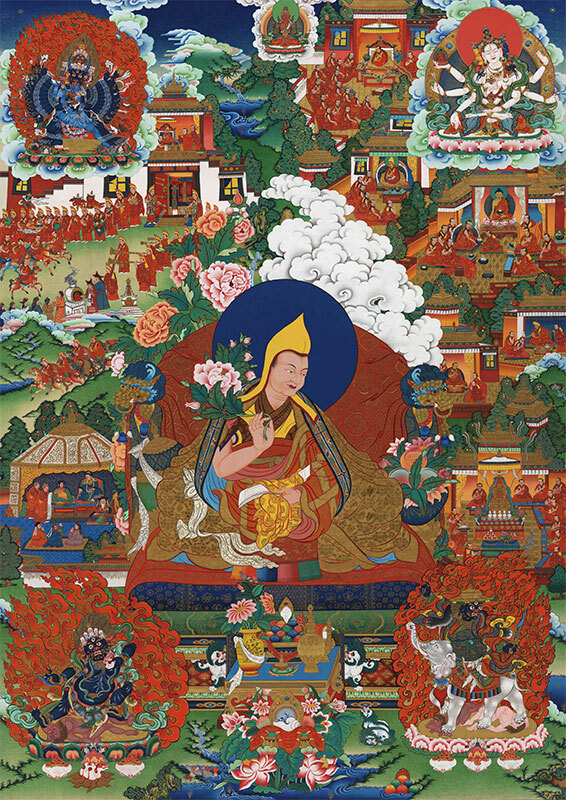 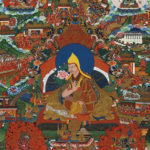 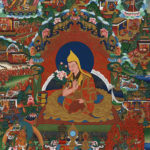 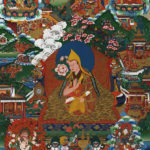 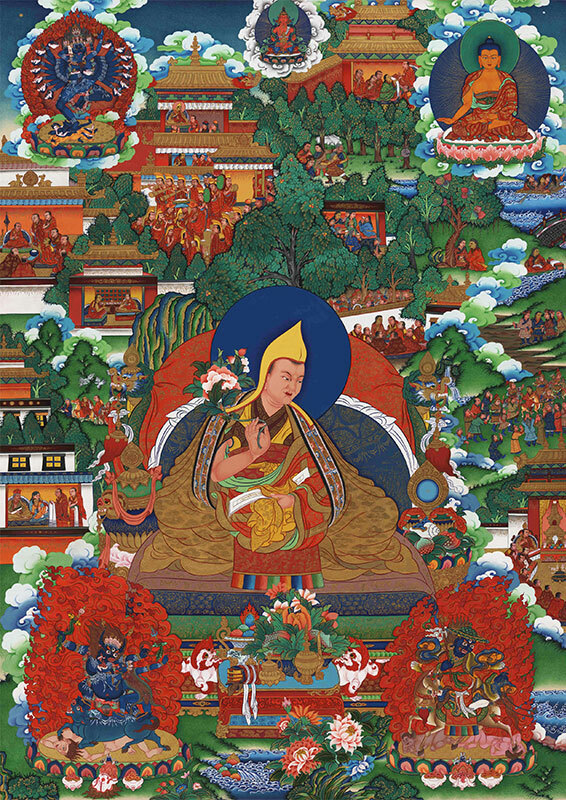 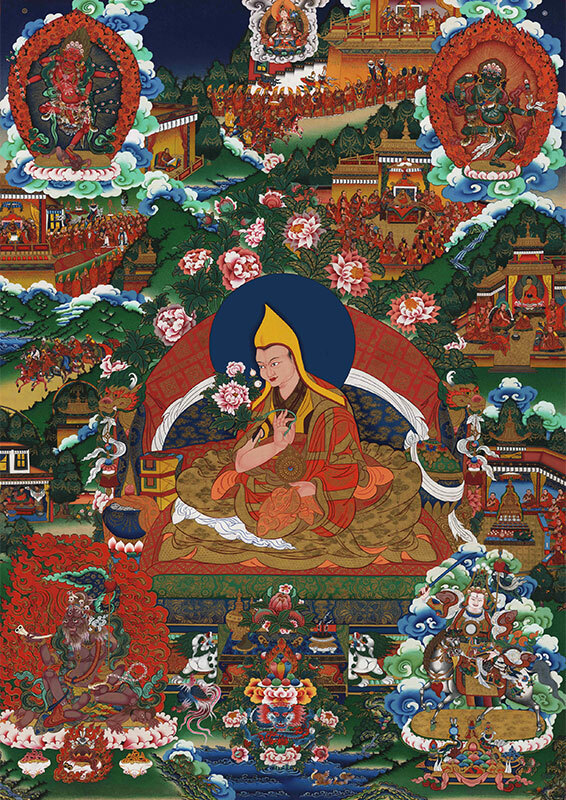 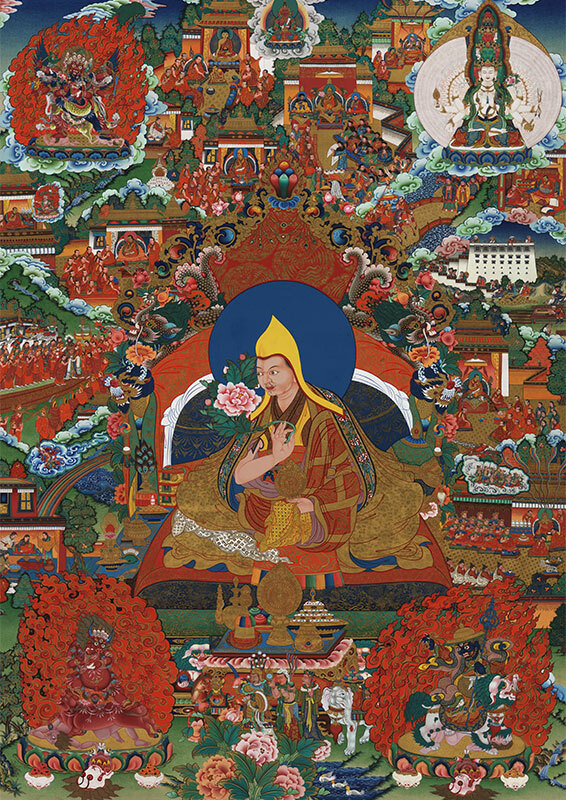 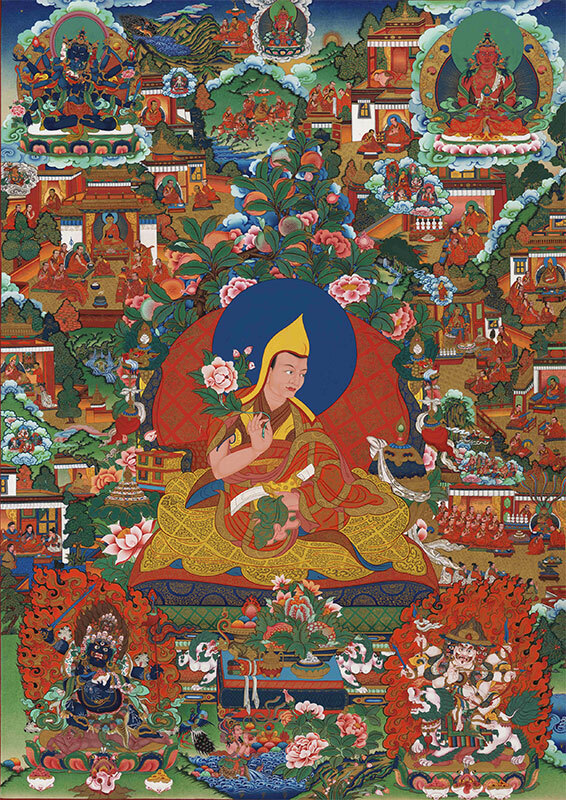 In 2002, thanks to the enthusiasm of Master Temba Chophel, Norbulingka undertook the task of producing a series of thangkas depicting the lives of the Dalai Lamas. 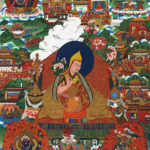 From an artistic point of view, this project retains all the qualities that would have been devoted to a similar enterprise in Tibet 300 years ago. 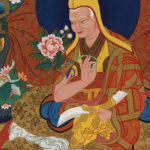 No limits were set in terms of time, quality of work or materials used. 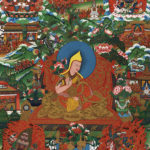 The details are exquisite, a feast for the eyes, an infinite source of surprise and discovery. 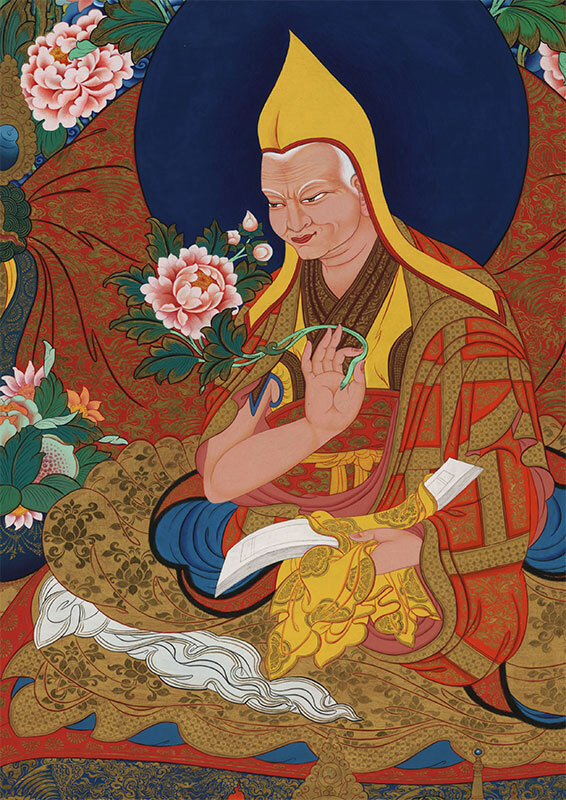 One aspect of this project today differentiates it from how it would have been in the past. 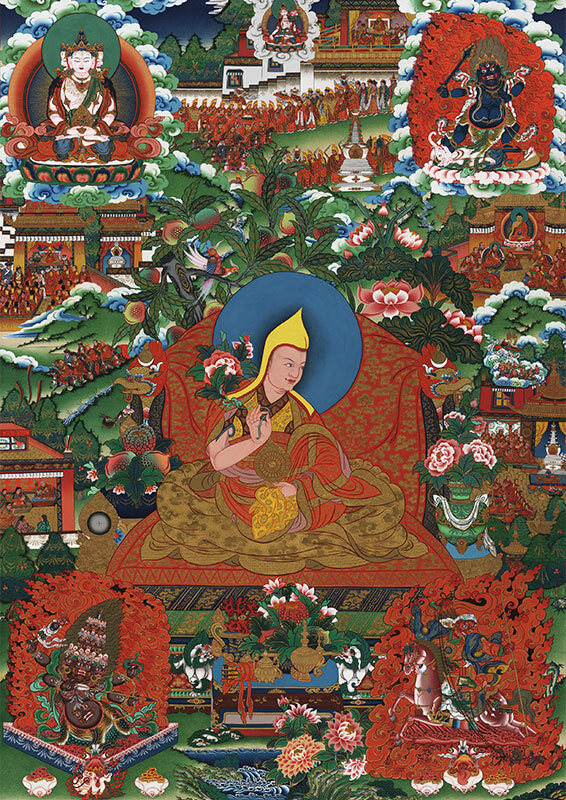 In old Tibet, such paintings would have been preserved as treasures, rarely displayed. 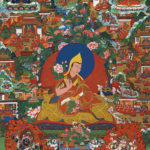 Nowadays, technology exists that will enable us to share them with a much wider public by means of an international traveling exhibition and the creation of an immaculate limited edition. 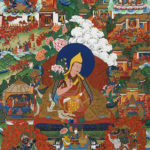 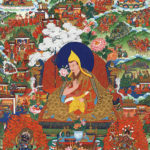 A luxury edition of the “Lives of the Dalai Lama” Book, in which the accompanying scenes and details of each thangka of the Collection are thoroughly explained, will accompany each set. 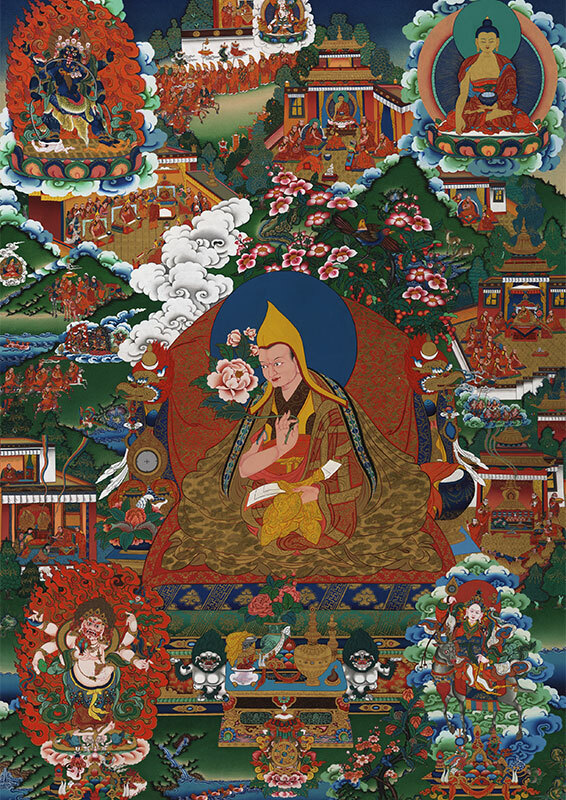 This book is a guide to the entire collection and includes explanations of the historical and philosophical background of the figures and events the paintings depict. 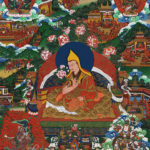 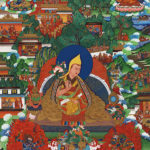 There are only 50 sets of 16 artworks of the comprehensive set of all the Tibetan Dalai Lama’s lives. 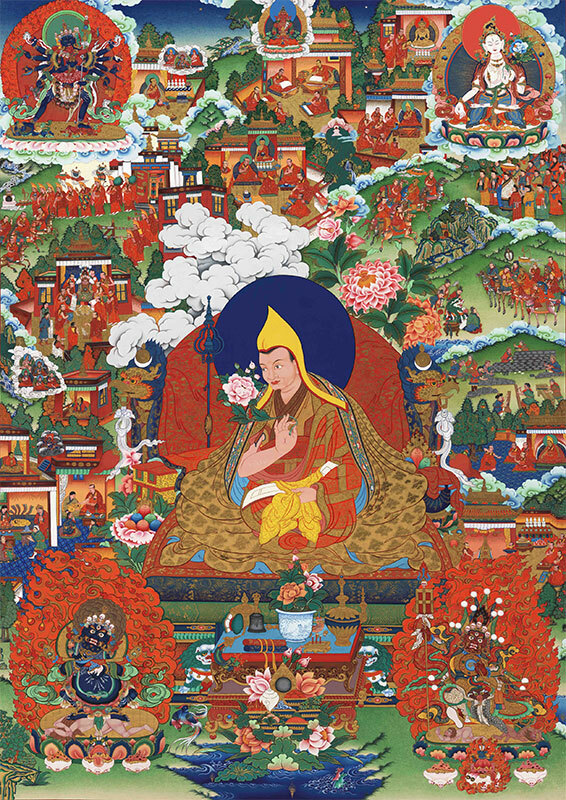 The series includes the lives of all Dalai Lama’s in history from the first Dalai Lama to the current living 14th Dalai Lama (of which there are three artworks).